Find the page you're looking for here! A Beginner's Guide to Drafting a Pant Block - Drafting your pant block from body measurements. 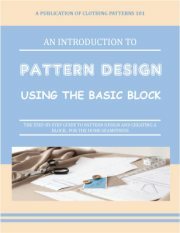 A Beginner's Guide to Designing with Darts - Transform your basic dress block by transforming your darts! A Beginner's Guide to Necklines and Collars - Frame your face with a stunning neckline or collar. 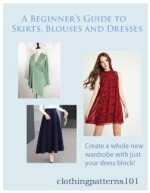 A Beginner's Guide to Sleeves and Cuffs - Upgrade your basic dress or blouse with a cute sleeve!